We’re about one week away from the CMA – Canadian Marketing Association – Digital Marketing Conference 2006. This two-day marketing conference is taking place in Toronto on October 19th and 20th, 2006. You can register and get more details about the event over here: CMA – Digital Marketing Conference. 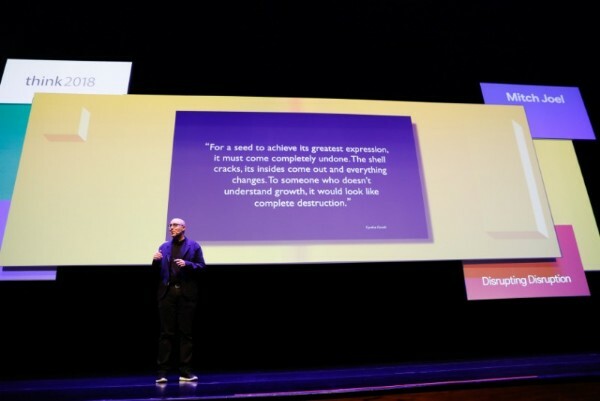 I was lucky enough to be asked to sit on the organizing committee for the Digital Marketing Conference and got even luckier when I was asked to deliver a keynote presentation. As part of the lead-up to the event, I decided to have conversations with some of the other keynote speakers on Six Pixels Of Separation – The Twist Image Podcast. So far, I’ve spoken with C.C. Chapman in episode #7, David Weinberger in episode #14 and #15, and Bryan Eisenberg in episode #17. At some point this week, I will be having a Skype chat with Joseph Jaffe – author of Life After The 30-Second Spot, chief Blogger at Jaffe Juice and, one of the main reasons I even started Podcasting, Across The Sound. Jaffe and I have become friends through the power of social media, so I am really looking forward to this conversation. Six Pixels Of Separation – The Twist Image Podcast featuring my conversation with Joseph Jaffe should be published at some point this coming Sunday. If you have any questions that you would like Jaffe to answer, please feel free to call the Six Pixels Of Separation audio comment line at: +1 206.666.6056. I will certainly have my recorder with me on hand at the conference next week, so you can be sure there will be some killer audio coming your way. Just think, we’ll have Jaffe, Chapman, Eisenberg, Weinberger and people like Michael Seaton, Terry Fallis and David Jones all hamming it up… I just can’t wait.